" Her face expresses how we both felt: overjoyed!" All brides want to look like a princess on their wedding day but one bride was pleasantly surprised when a two-year-old mistook her for the princess in her favourite storybook. 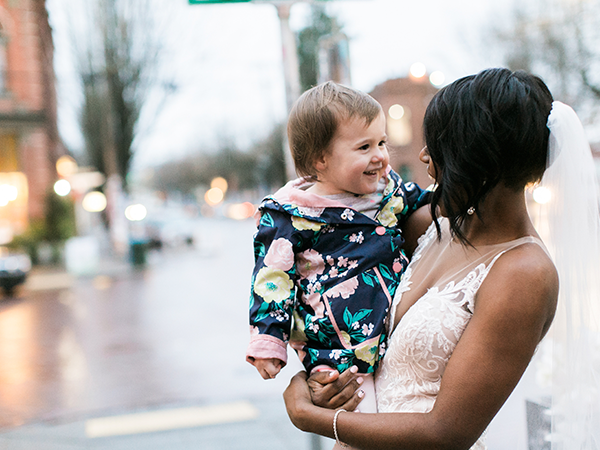 Shandace Robertson was casually taking pictures with her husband on the streets of Seattle when a woman and her two-year-old daughter passing by stopped and gawked at her. 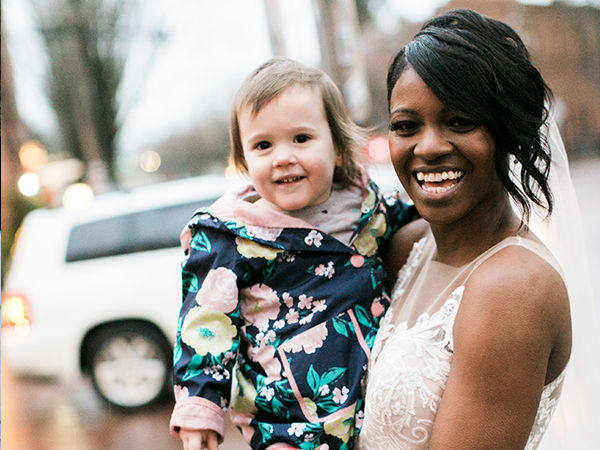 "We were walking around taking photos and the little girl was just staring at the gorgeous bride," wedding photographer Stephanie Cristalli told PopSugar. "We stopped to acknowledge her and to say hi and then the beautiful series [of photographs] just happened." PHOTO: Imgur Scott Robertson, the husband, shared the photos on Imgur of Shandace posing alongside the toddler who looks completely starstruck to be meeting the character from her favourite book. 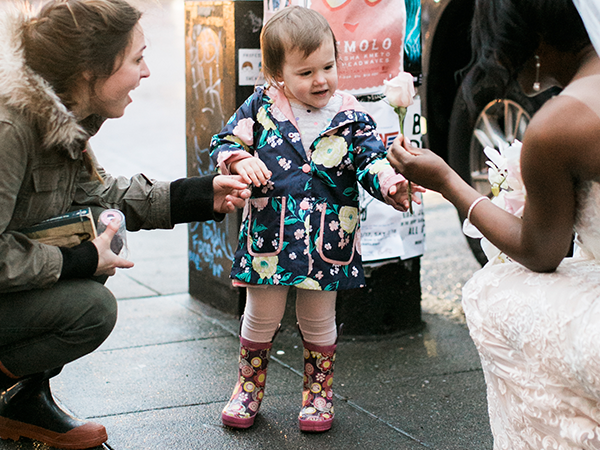 "My wife and I got married last February, and during the photoshoot this little girl and her mom happened to be walking by. The little girl thought my beautiful wife was the Princess from her favourite book (the one she's holding)," Scott captioned the photos. 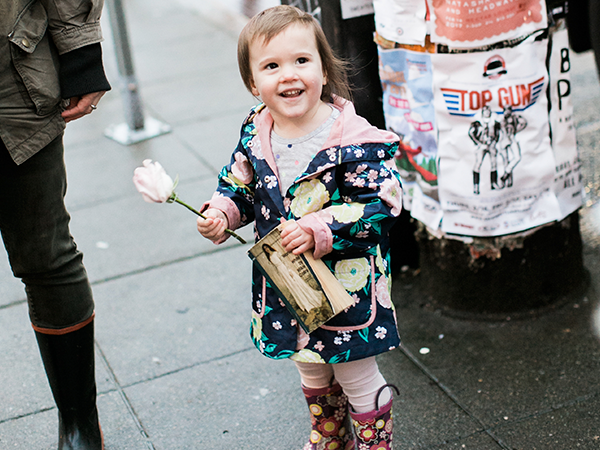 Shandace gave the little cutie a flower from her bouquet, and also picked her up for a few photos. "I could tell by her face that her heart was overflowing. "I love little kids so much, I asked her mom if I could hold her. Her face expresses how we both felt: overjoyed!" Scott told HuffPost that the book the toddler recognised his bride from was The Woman In White by Wilkie Collins, which she happened to have in her hand during the encounter. For Scott the incident was "the icing on the cake" on an already perfect day. He said it warmed his heart to see the beautiful reactions from both the girl and his bride. "My wife loves kids, so this was a very special moment for her." Sources: Buzz Feed News.FOX ktvu. Huffington Post SA. Popsugar.